UM CURE 2020 builds on the establishment of a European resource through the networking and harmonisation of the biobanks already established in the four referral oncology centres participating in the consortium. These have an active role in clinical research and in both national and international clinical trial set-ups. Four referral oncology centres participating in the consortium (with >1,000 new UM patients per year seen between them) have an active role in clinical research and in both national and international trial set-ups. 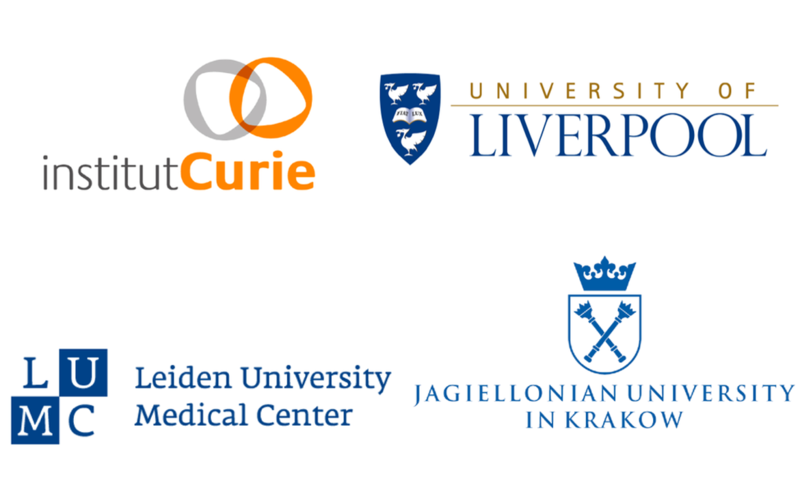 The University Hospitals of the University of Liverpool, Leiden University Medical Centre and Jagiellonian University will significantly contribute to UM sample collection together with Institut Curie: these samples are crucial to further our understanding of metastatic disease and to develop appropriate models. These partners are experts in UM basic research and pathology, preclinical studies and clinical trials.